Heya, It’s been awhile since I’ve posted, but i have still been writing for a few publications and websites, mostly on F1 related stuff. However I think it’s time i restart using the this platform – either that or give up the site. So let’s start with the Malaysian GP review, which was printed in the Sun relatively recently. Since Formula One converted to the new V6 Turbo power units Mercedes has dominated the sport – until now that is. 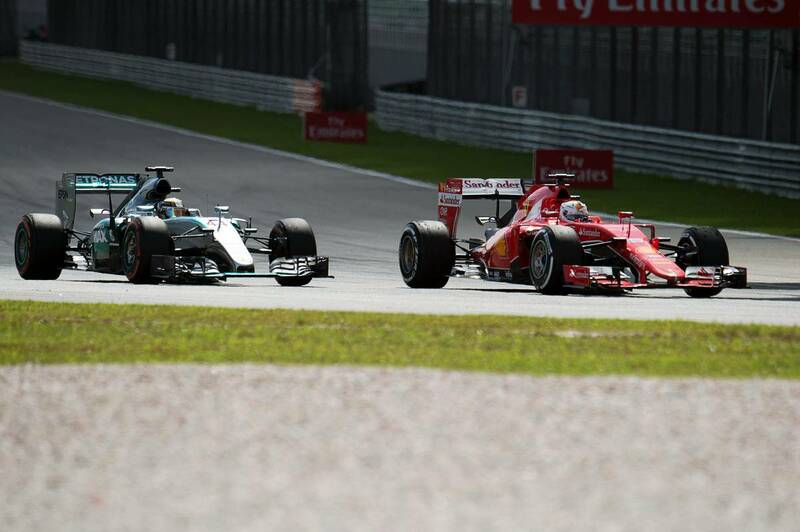 On Sunday at the Malaysian GP, we saw Ferrari end a 35 race losing streak as Sebastian Vettel beat the Silver Arrows for the first time on pure pace. It was a result I didn’t expect going into the weekend, such was the Mercedes dominance at the first race in Australia. 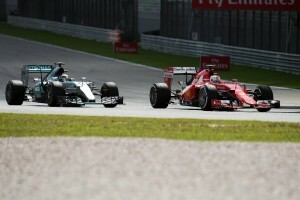 Even on the Friday, when Ferrari posted strong lap times on heavy fuel, there was a feeling that they just were running lighter than the Mercedes duo. There were a few key moments that made this victory possible though. 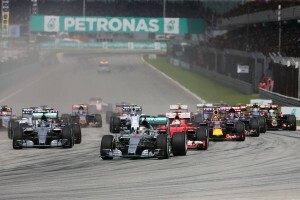 By the time the race started, the track temperatures had reached 62 degrees Celsius. This was hotter than on Friday, where we had seen such strong pace from the Prancing Horse and that Mercedes were struggling with the medium tyre. So when you extrapolate for the heat, it was reasonable to assume that these hotter conditions would help the Ferraris more. While Vettel did not have a great start from the dirty side of the grid, he did manage to get braking for the first corner absolutely perfect. Even though he was on the outside of Rosberg on the run up to turn one, he was able to out brake and somehow not go wide. This allowed him to pinch Rosberg on the apex and then be on the inside for the left-handed turn two. If he had run wide, Vettel would have been on the dirty outside and he would have struggled to stay in the top three let alone take second. That would have made his race a lot harder. 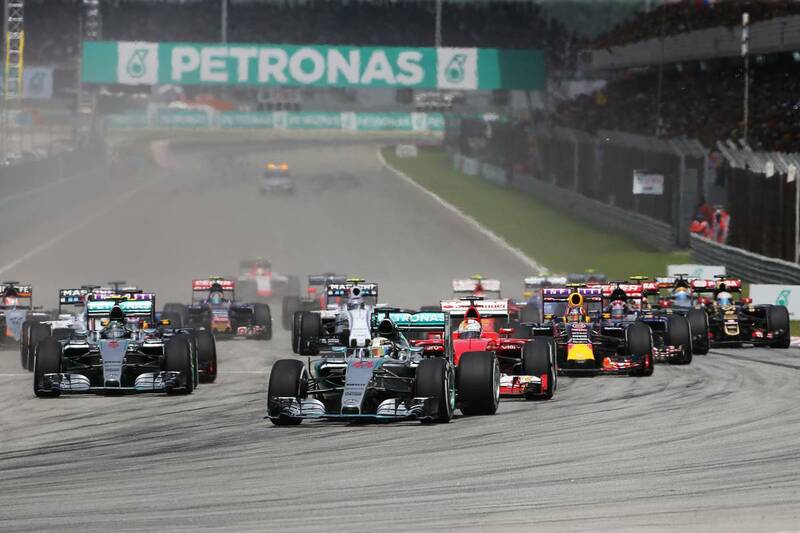 There is some debate right now whether Mercedes could have won even if there had been no safety car. Personally, I think Vettel could have still won this race without it, but its safe to say, he would not have won it so easily. So let’s say it helped him because it allowed him to pull out a big gap on both Mercedes cars after the re start as they were hampered trying to clear the train of cars behind Hulkenberg. 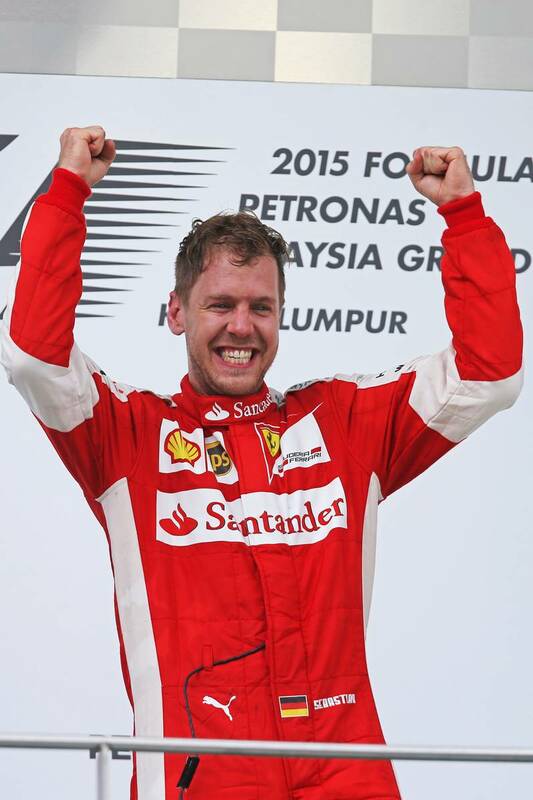 The laps after the safety car and before Vettel’s first pit stop was the key part of the race for me. The safety car went in and the racing restarted on lap seven and he pitted for his first stop on lap 17. So his sequence of laps was as follows: 46.0, 46.2, 46.3, 46.2, 45.4, 46.2, 46.6, 46.6, 46.7, and 46.9, before finally pitting. 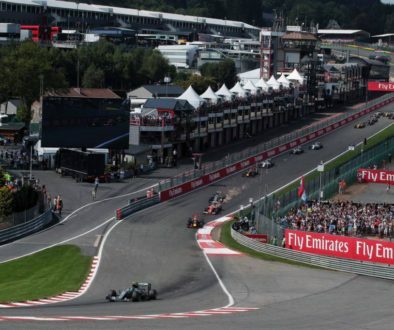 This was very tight, clean driving and I’d say he would have had a bit in hand too because he could not afford to kill his tyres too early as he was attempting to make a two stop strategy work – which was one less than the Mercedes duo. Hamilton now had to push to catch up and once he cleared Hulkenberg on lap nine, that was what he set out to do. 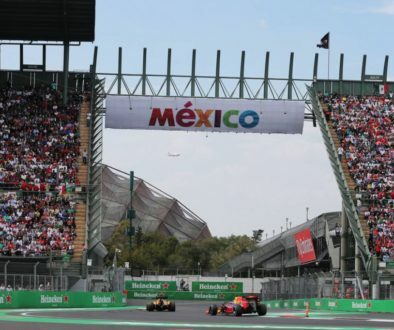 However despite having seven laps fresher tyres, his best lap was a 46.1 on lap 14 and when Vettel did finally stop, he had not made any significant progress into the 10 second gap between the two drivers. 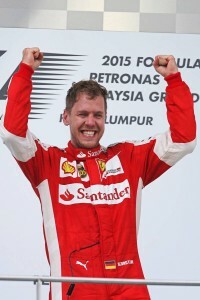 I knew from this point on that Vettel had the pace to win the race. Not only was he quick on the medium tyre, he could make it last twenty laps, which he did in this second stint on them. Both Hamilton and Rosberg could not make the medium tyre work for so long and were committed to running the hards. 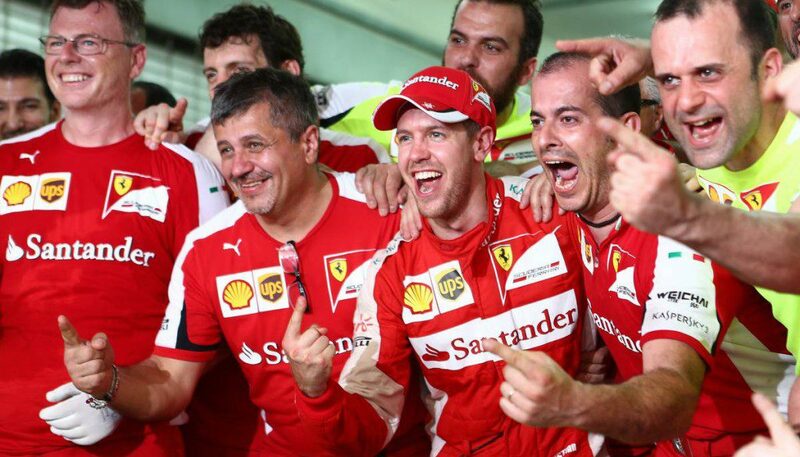 It was a race won on merit as Mercedes boss, Toto wolff, would later admit. It’s been a great result for Formula One in general, and the question now is whether Ferrari can continue to do this all year. 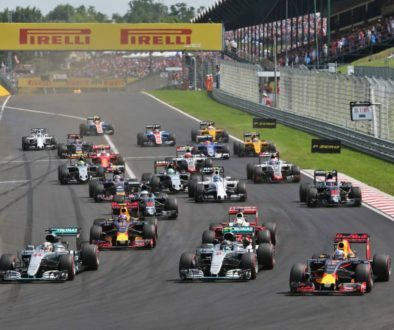 I feel It will be difficult for them to replicate this sort of form in the more typical temperature races, but if Ferrari can develop at a faster rate than Mercedes, perhaps, just maybe, they may become genuine championship contenders.